Situated at the end of the pier, Malibu Farm is beloved for its spectacular Pacific Ocean views, the freshly sourced ingredients on its ever-changing menu, and its warm vibe. Chef-owner Helene Henderson opened the space after the once-intimate dinners she hosted on the grounds of her home grew too large. 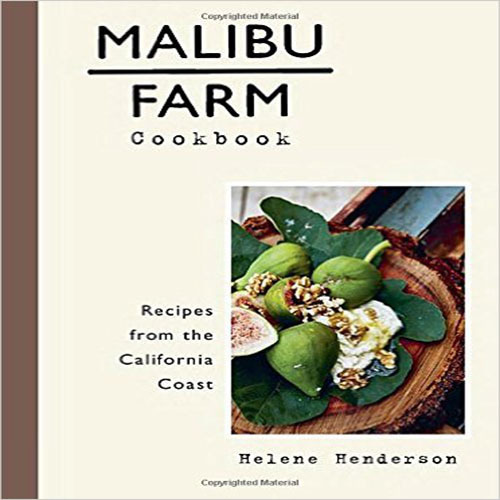 Now, in Malibu Farm Cookbook, she invites you honor the shoreline and mountains of Southern California with dishes like Ricotta and Pea Frittata, Butterfly Beef Tenderloin with Horseradish, Seared Fava Beans, and Grilled Chocolate Cake with Caramel Sauce. Helene captures the spirit of her own farm with recipes using the morning’s fresh eggs, the catch of the day, the luscious vegetables that grow all around, honey harvested steps from where it’s enjoyed, and olive oil straight from her grove. 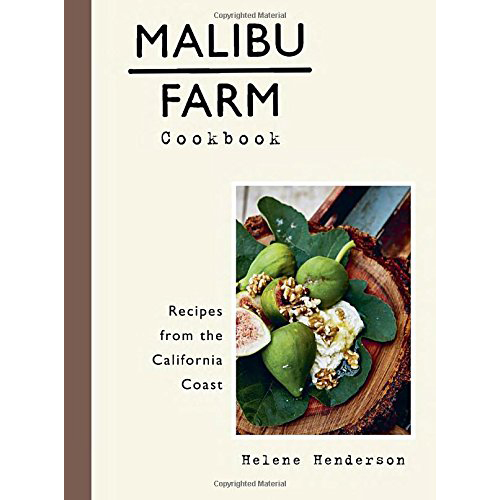 Punctuated with luscious, vibrant photography, Malibu Farm Cookbook is a stunning sensory experience that transports you right to the edge of the Pacific.